Dachshunds, doxies, low-riders, badger hunters, teckels, loyal companions and comic relief; these are a few of our favorite pet names for the darling dogs we love. 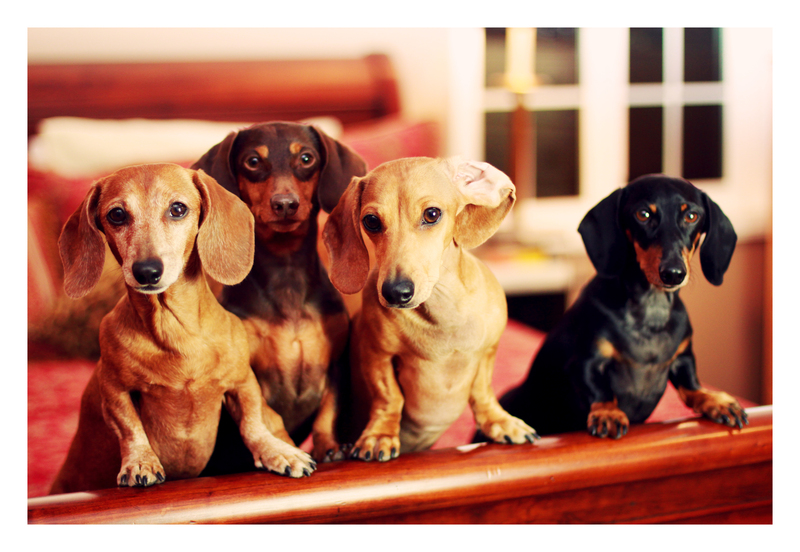 This entry was posted in Rufus, Rufus' Friends and tagged #black and tan dachshund, #dachshund, #red dachshund, #smooth dachshund, doxies. Bookmark the permalink. There’s one missing. You need a bigger bed.